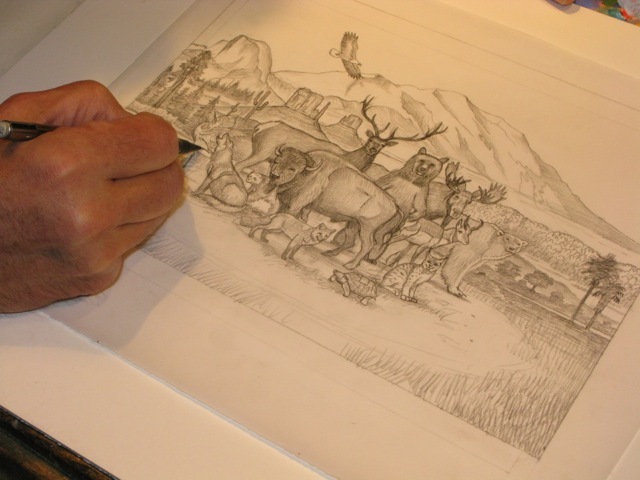 The evolution of Monte Dolack's Commemorative Wilderness Poster - Keeping Wilderness WILD! 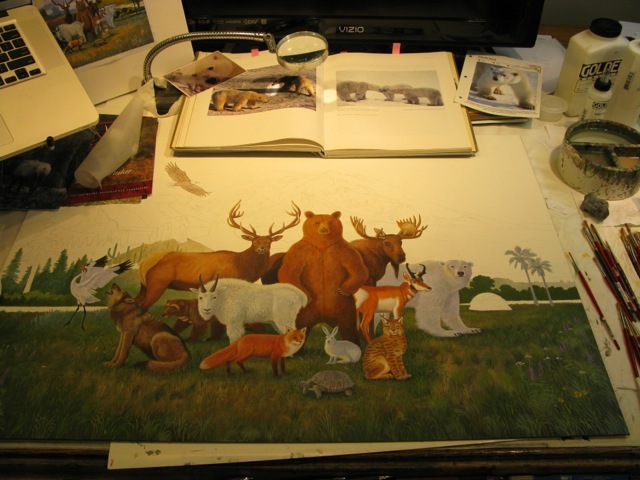 "The Peaceable Kingdom of Wilderness"
"I worked through several ideas for this commissioned painting thinking about the important individuals who contributed to the idea of preserving Wild places. It is diverse and many people made this happen. I decided instead to focus on a rather formal portrait of some of the animals of our wild places with a backdrop of some of the wilderness areas across the United States. 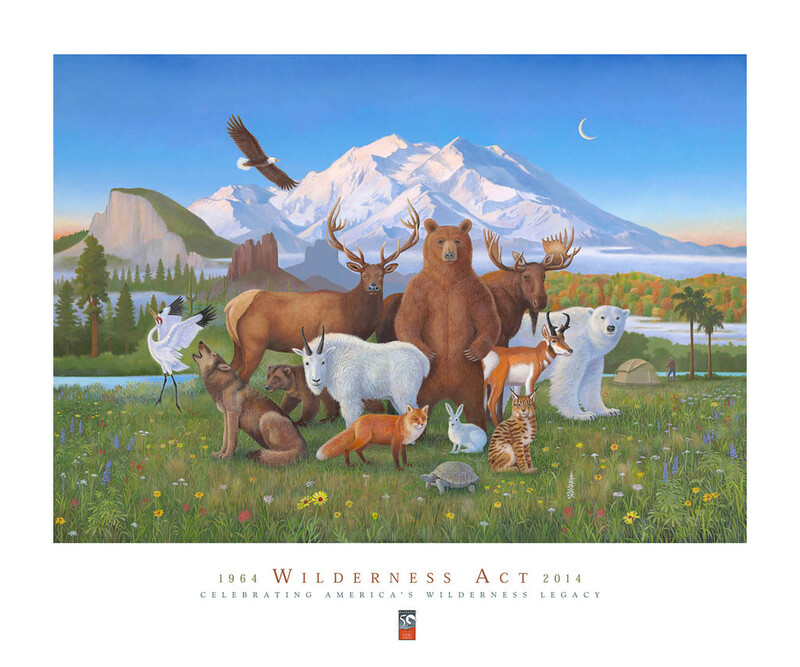 This painting for the 50th anniversary of the American Wilderness Act is about the interconnectedness of life and richness of landscape. All of our wilderness areas, though separated from each other physically are non-the-less connected, as is everything on this small planet spinning in space. The idea of the Peaceable Kingdom of Wilderness springs from Edwards Hicks’ 1820 Peaceable Kingdom which is folkloric in nature.It is one of the best ideas we as a nation have ever had." 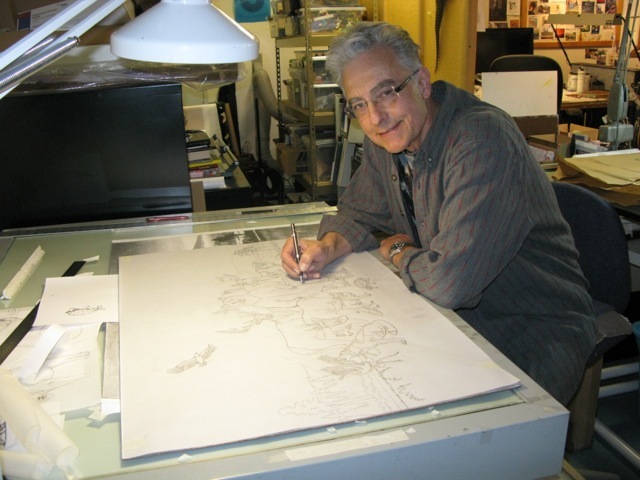 an early sketch of the painting. 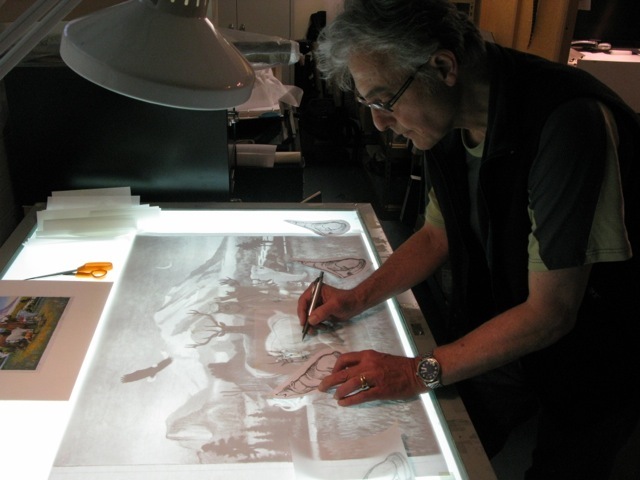 Mr. Dolack was commissioned to create the original artwork and poster by Wilderness50, a group of non-profit organizations, academic institutions, and government agencies planning events around the country to commemorate the Wilderness Act’s 50th anniversary. Wilderness Watch has played a key role in Wilderness50’s planning efforts and recommended Mr. Dolack for this special project. Wilderness Watch worked closely with the artist throughout the process and is handling distribution of the posters. 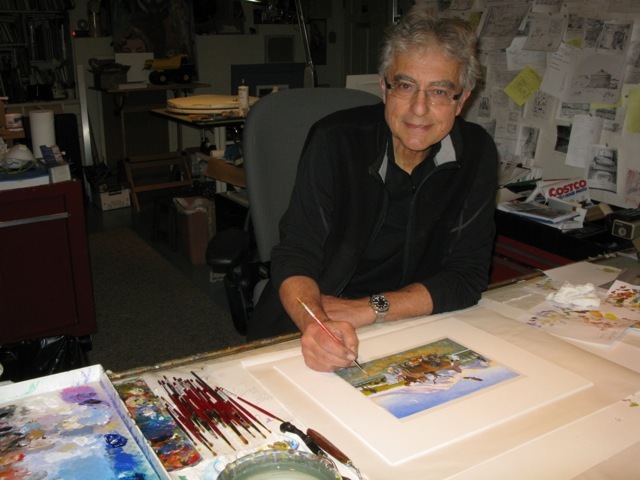 Monte Dolack working on the painting's composition. 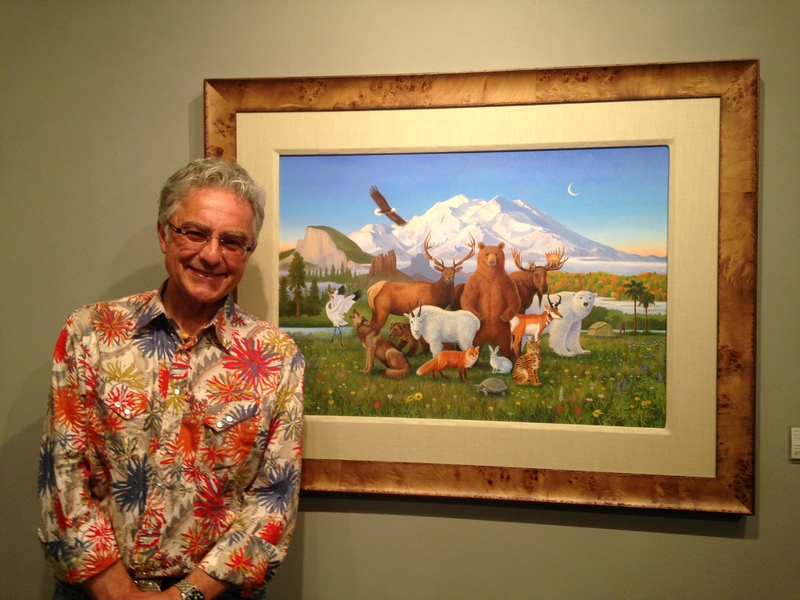 Monte Dolack with the original artwork, "The Peaceable Kingdom of Wilderness." I ordered one to have for my remodelled house! I am so happy to support the endeavors of Mr. Dolack- it is a beautiful inspiring piece of modern art and cannot wait to have it framed and on my newly painted wall! Perhaps it will inspire others to be more environmentally friendly and aware, to boot! I ordered one to have for my remodelled house! I am so happy to support the endeavors of Mr. Dolack- it is a beautiful inspiring piece of modern art and cannot wait to have it framed and on my newly painted wall! Perhaps it will inspire others to be more environmentally friendly and aware, to boot! Kudos!